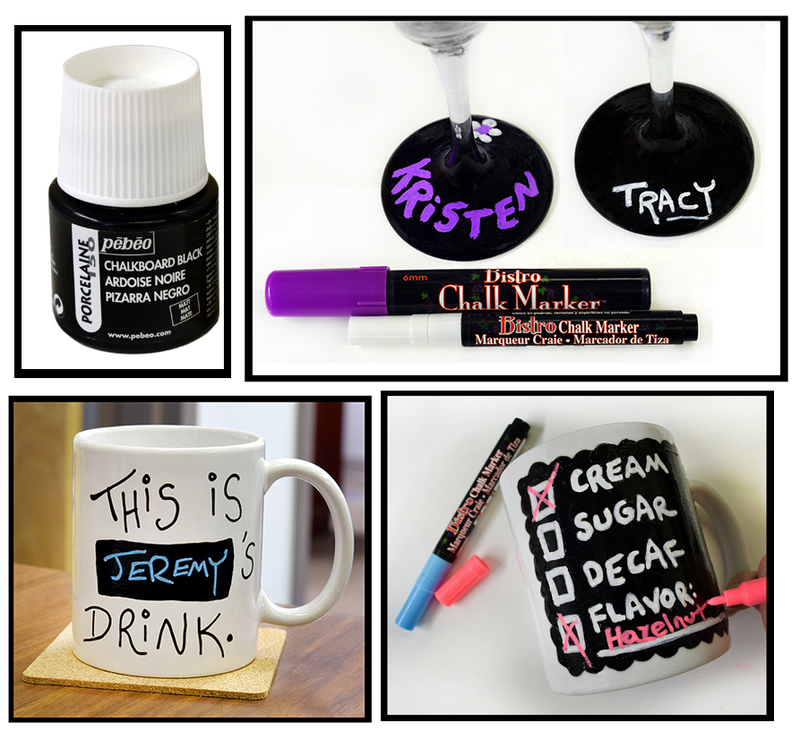 Pebeo Porcelaine Chalkboard Paint is perfect for creating a blackboard look on mugs, plates, glasses, vases, and decorative items. Dishwasher safe after baking! 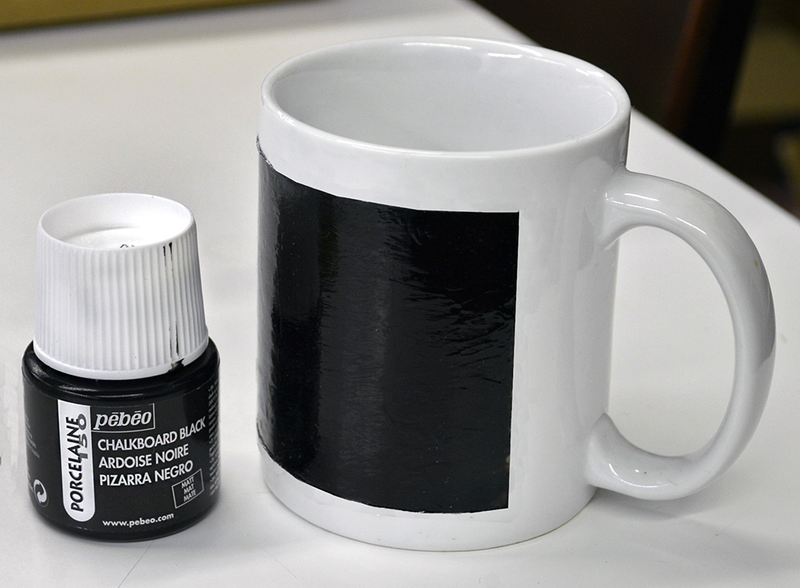 Plastic bottle contains 45ml of non-toxic, water-based paint. For some simple directions and usage tips, see the "How To Use" tab. *BLACK FRIDAY FREEBIE! 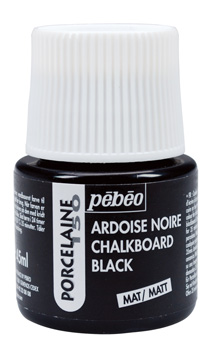 * All orders over $10 that are placed on Black Friday, November 23rd will receive a FREE bottle of this Pebeo Chalkboard Black Paint! *Make sure the item to be painted is a smooth, non-porous surface (such as porcelain, glass, or glazed ceramics) and can withstand hot temperatures (if planning to bake the paint on to make it dishwasher safe). *Wash the surface with soap and water, and then use rubbing alcohol to fully degrease it. Let completely dry. *Be sure to stir the paint very well before use. 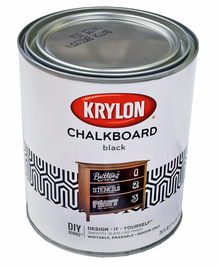 If not properly mixed, the paint may dry with a shiny, glossy look instead of the flat matte finish. 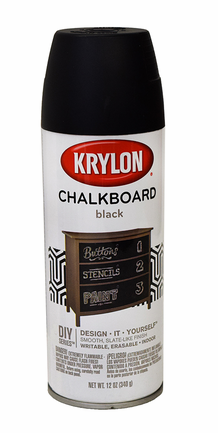 *If you want your chalkboard area to be a shape such as a rectangle with crisp edge lines, use painters/masking tape around the shaped area you want to paint. Caution: Although these paints are water-based and non-toxic, they have not been specifically tested for being "food-safe." It is recommended that you do not paint parts of dishes that will come in direct contact with food or your mouth. *For best results, use a soft hair paintbrush. If doing a broad area, try a brush with a wide shape such as a fan. Make smooth strokes parallel to each other to create even coverage. *If tape is used around the edges, remove while the paint is still wet. If any has leaked underneath, it can be removed with rubbing alcohol on a Q-tip or other small tool. *Let the painted item air dry for 24 hours. Then place in a cool oven, heat up to 300 degrees F and bake for 35-45 minutes. Let the item cool down in the oven. For objects that will only be used for decoration, air drying should be enough to permanently set the paint.